Diane Setterfield is a former academic, specializing in twentieth-century French literature. She lives in Yorkshire, England. CLICK HERE FOR MORE BY DIANE SETTERFIELD. Reposting to include Tadiana's new review. 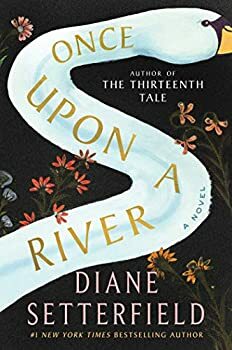 Diane Setterfield offers up a great premise and a heaping sense of atmosphere in her newest novel, Once Upon a River (2018), but while the book offers up plenty of satisfying moments, I felt it fell short of its potential and was also somewhat marred by Setterfield’s lack of trust in her readers, though both of those complaints are admittedly more subjective than my typical criticism, so more than usual, one’s mileage may vary here.